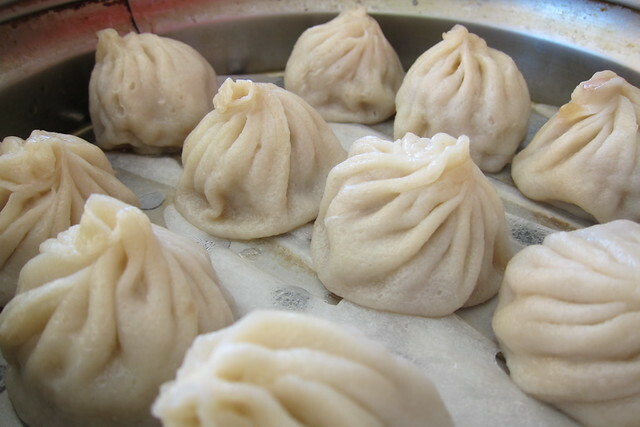 Xiao long bao -- the dish at the center of the San Gabriel mayoral mistress scandal -- is such a popular item with so many variations that in some stretches of the San Gabriel Valley, you can sample three top-tier dumpling houses in a two-block radius. On Monday, that's just what I did on an XLB crawl organized by BaoFury (@olivejina) and DJ XLB (@djjewelz). The two are Southern California natives: she grew up in La Cañada Flintridge; he grew up in Monterey Park. Both of them know their soup dumplings. Located inside a plaza with light blue awnings on the east side of Garfield, Dean Sin is a small, unassuming restaurant that specializes in extraordinarily juicy xiao long bao and amusing Engrish signage (fired rice; wine blown noodles). With xiao long bao a.k.a. soup dumplings, the soup is on the inside, bathing a ball of ground pork and leek to keep it tender. They can be tricky to eat. Pro Tip: Pick up a dumpling with your chopsticks and place it in a spoon. Take a nibble a hole in the dough at the top or on the side of the dumpling. Let the broth spill out into the spoon and wait a moment for it too cool. 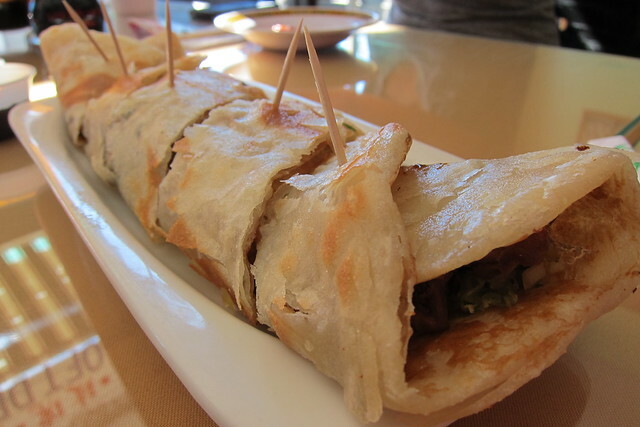 When you're not eating XLB at Dean Sin, which sounds more like an adult toy store than a dumpling house, the beef roll (#26 - Pan Cake with Beef - $4.99) is fantastic. 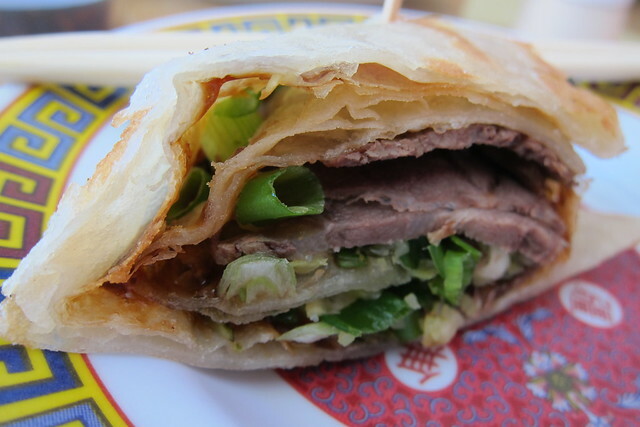 Thin folds of tender grilled beef are wrapped inside a crisp pancake. It sounds simple, and it's common enough in the San Gabriel Valley, but at Dean Sin, the dough tastes fresh and flaky, not bit limpid or greasy, the way it can at some lesser restaurants. Dean Sin Noodle World: 306 N. Garfield Ave., Monterey Park; (626) 571-0636.